Did you know that Lake Arrowhead still sells close to 42% of it’s home inventory in the Winter? It’s true! 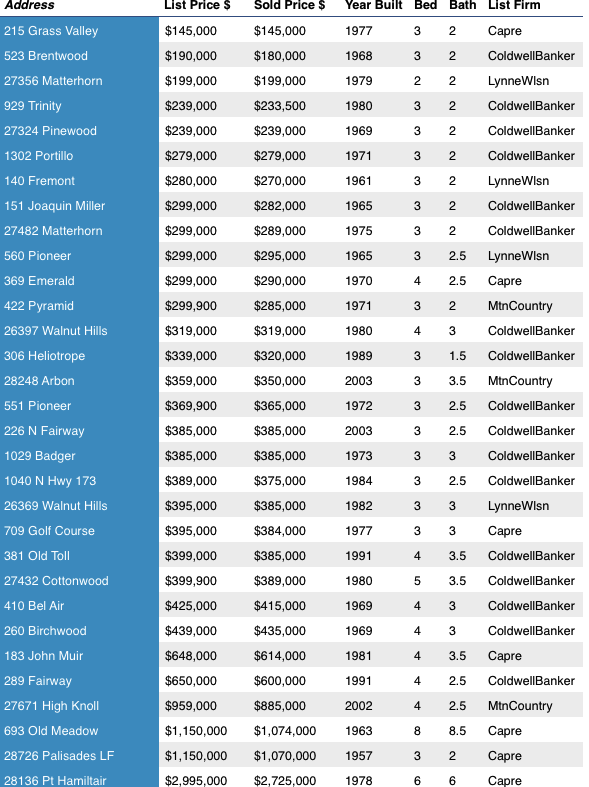 Facts do not lie, one fact is that Coldwell Banker Sky Ridge Realty is the #1 real estate company on the mountain. For the month of October, Coldwell Banker Sky Ridge Realty had a 58% market share on listings sold, fact! Home sales are showing no signs of slowing. Below is the chart for Home Sales in Lake Arrowhead for the month of October. If you are thinking of selling your home, call me, I have a proven track record and can get your home sold. All information is deemed reliable but not guaranteed and was obtained from the Rim of the World of AOR.